Betty Rafferty, MD received her medical degree from the University of Massachusetts Medical School in 1991, honored as the top medical graduate in her class. She undertook post-graduate training in General Surgery as well as Diagnostic Radiology, both at Massachusetts General Hospital in Boston. She completed her radiology training in 2001 after completing both a dedicated year of training in Breast Imaging as well as serving as Chief Resident in Diagnostic Radiology. Dr. Rafferty joined the staff at Massachusetts General Hospital where she served as Fellowship Director in Breast Imaging and subsequently Associate Director of Breast Imaging. She was appointed Director of Breast Imaging at the Avon Comprehensive Breast Center at Massachusetts General Hospital in 2006. Dr. Rafferty served as the Women’s Health Network Clinical Advisor for the Massachusetts Department of Health for over 10 years. 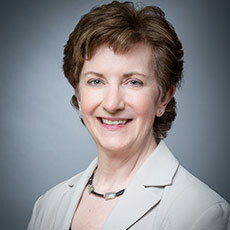 She also served nationally on the American College of Radiology’s Committee on Breast Cancer Screening, as a member of the Maintenance of Certification Committee for the American Board of Radiology, and as a member of the Breast Cancer Screening and Diagnosis Panel of the National Comprehensive Cancer Network, developing national guidelines for the evaluation of breast disease. A leader in her field, Dr. Rafferty has authored over 80 publications and scientific presentations and delivered over 250 invited lectures nationally and internationally on all aspects of Breast Imaging. Over the past 15 years, Dr. Rafferty’s research interests have focused on the development of breast tomosynthesis, a three-dimensional mammographic technique. She served as Principal Investigator for the clinical trials that resulted in FDA approval of breast tomosynthesis for clinical use in 2011 as well as for the use of a synthesized mammogram to be interpreted in conjunction with tomosynthesis imaging in 2013. Her instructional programs have trained thousands of radiologists in the interpretation of 3D mammography. A resident of Andover, Massachusetts for over 24 years, Dr. Rafferty has recently left Massachusetts General Hospital to practice near her home. She joined L&M Radiology to serve as Director of Breast Imaging and Medical Director for Women’s Health Imaging at Andover Medical Center.